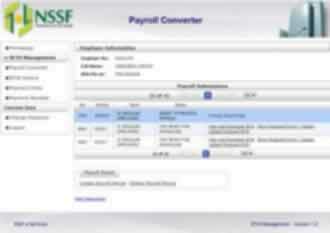 NSSF Kenya payment deadline for any month is the 15th day of the following month. 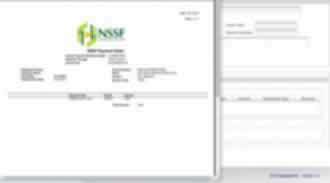 Compose a Microsoft Excel file with all the required columns as per the NSSF file format template. 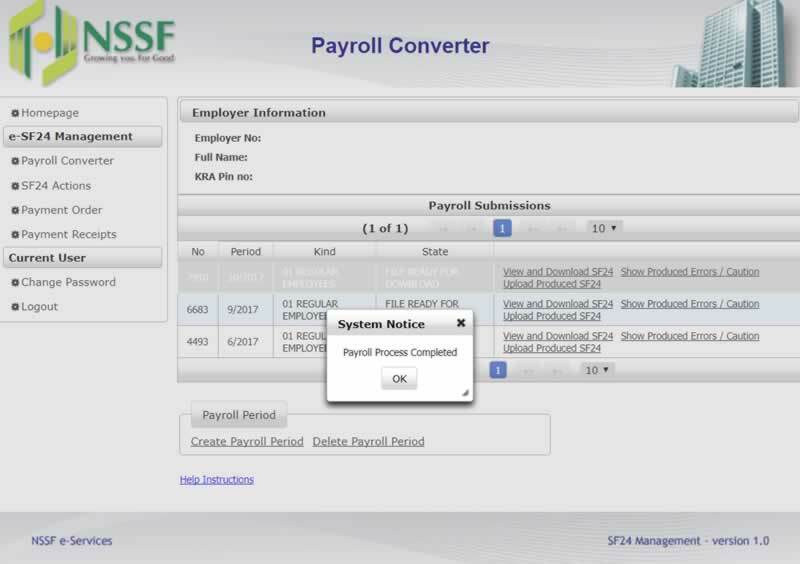 Notice the new format has no NSSF contribution amounts but will instead work with employees’ Gross Salaries. 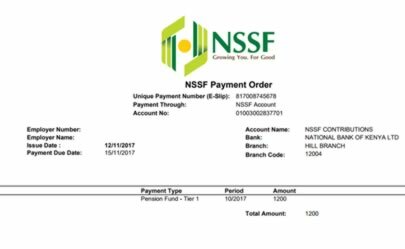 This file also contains NSSF Membership Number, KRA PIN, and any voluntary amounts. 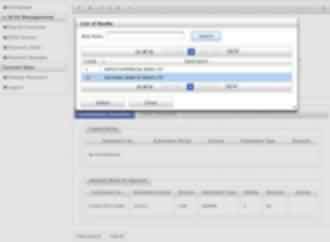 To make manual (offline) returns, there is no need to go to step 2 of this tutorial. 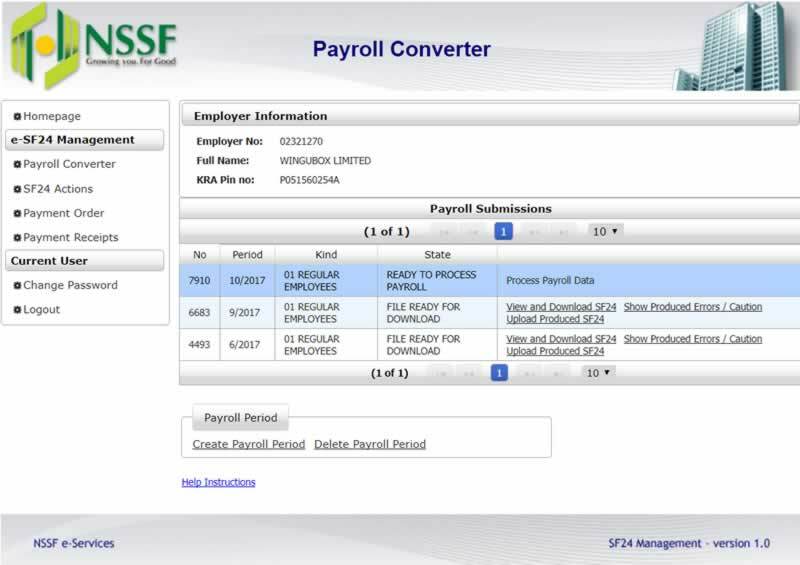 Simply select NSSF Reports (Old format) on your Wingubox Payroll application and take to nearest NSSF office (branch) along with your payment. 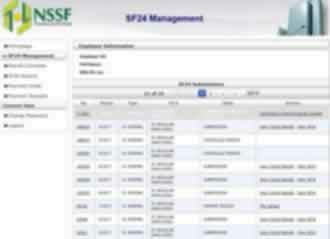 Browse to NSSF Self Service Login also known as SF24 Management and enter your username and password. 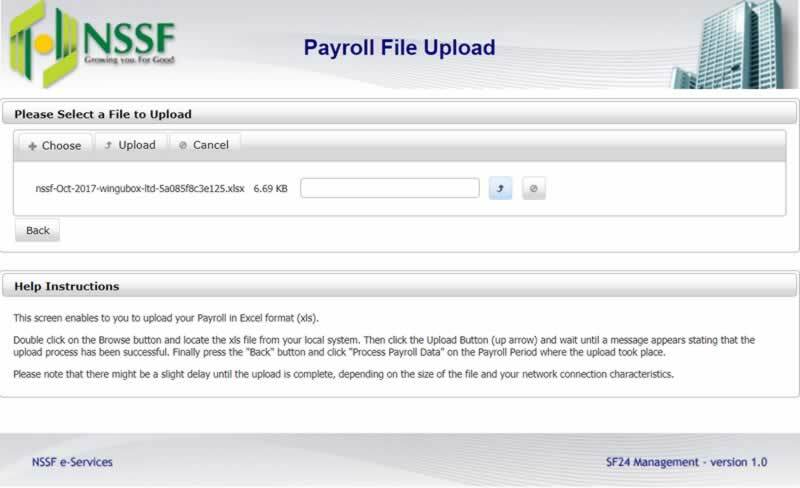 On the payroll period section, click ‘Create Payroll Period’ and enter the payroll month, payroll type and contribution type. 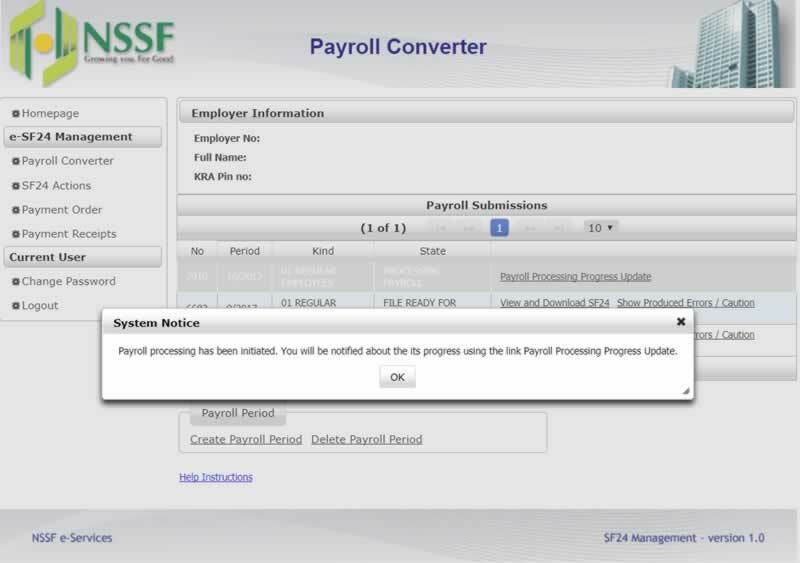 After step 3, you will now have a new item on your list of ‘Payroll Submissions’. 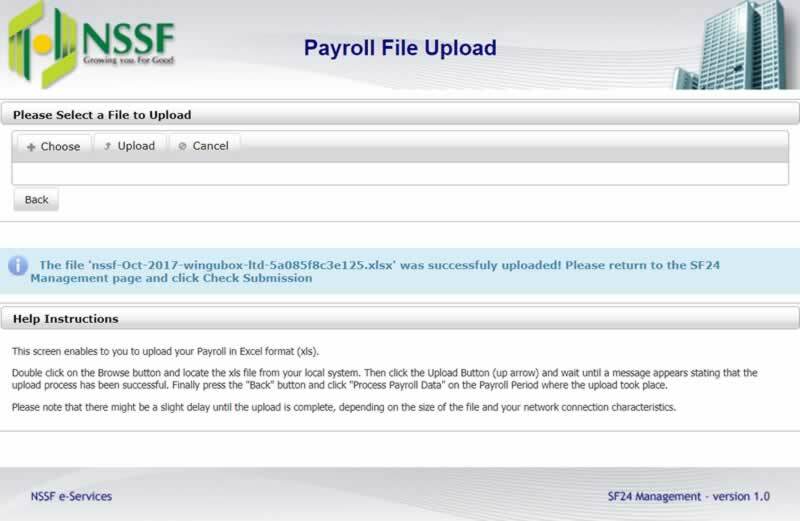 Once your file is successfully uploaded, click the ‘Back’ button to return to ‘Payroll Submissions’ section. Your latest submission should be updated with a new set of links. 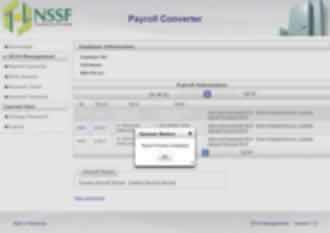 Click on the link that reads ‘Show produced errors’ to determine if there are any errors that NSSF has detected. If you have errors, return to your excel sheet and correct this accordingly. 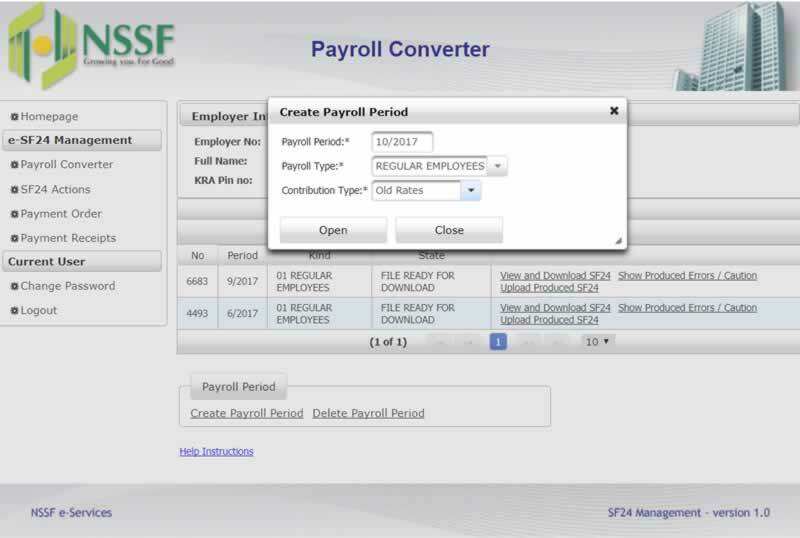 Delete the payroll period and create a new one. 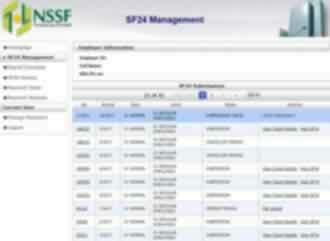 If you have no errors, proceed to ‘Upload Produced SF24’. 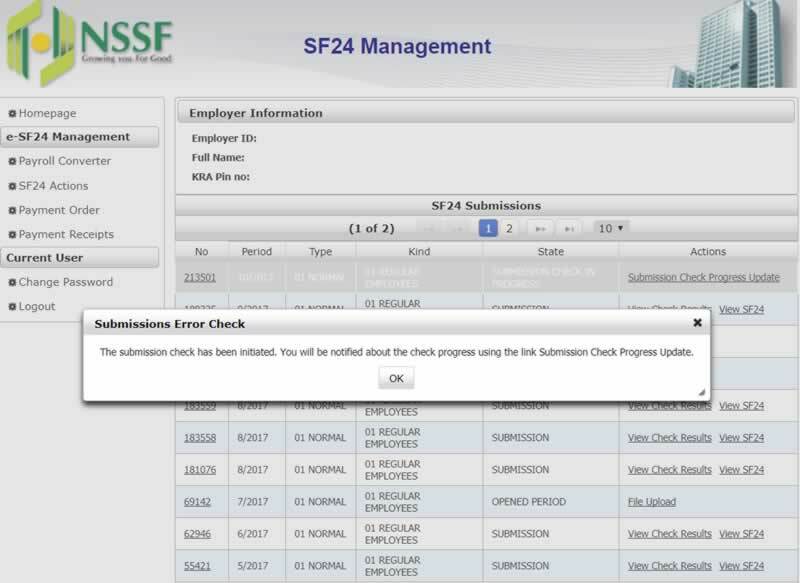 Your latest SF24 submission should be first on the list of submissions with the status ‘SUBMISSION CHECK’. Select the action ‘Check Submission’. 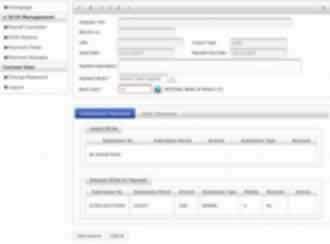 Once submission is complete, click on the new link that appears ‘Submission check progress updates’. 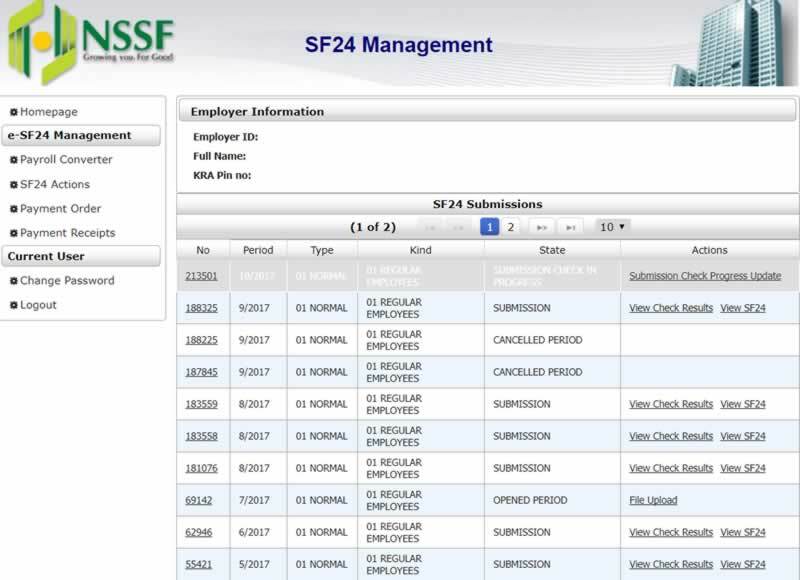 This will help you get notified when submission of your SF24 is finalized. You are now ready to make your payment order. 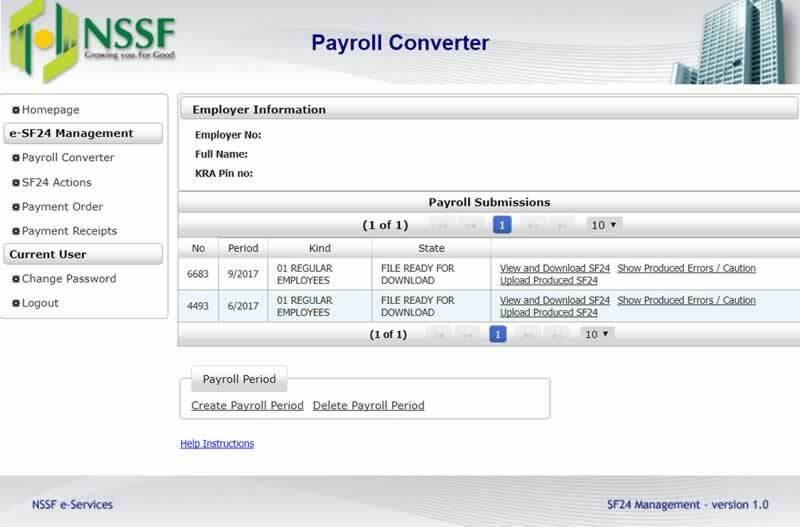 Select ‘Payment Order’ on the left-hand menu. 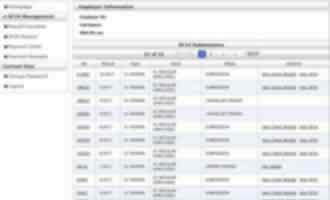 Enter a payment description, e.g. ‘October 2017’. Enter a payment mode of your choice. Enter the bank which you’ll be using to make payment (PS: This is not your organization’s bank but rather NSSF bank accounts to which you’ll pay the monies due. There is a choice of either National Bank or Kenya Commercial Bank). 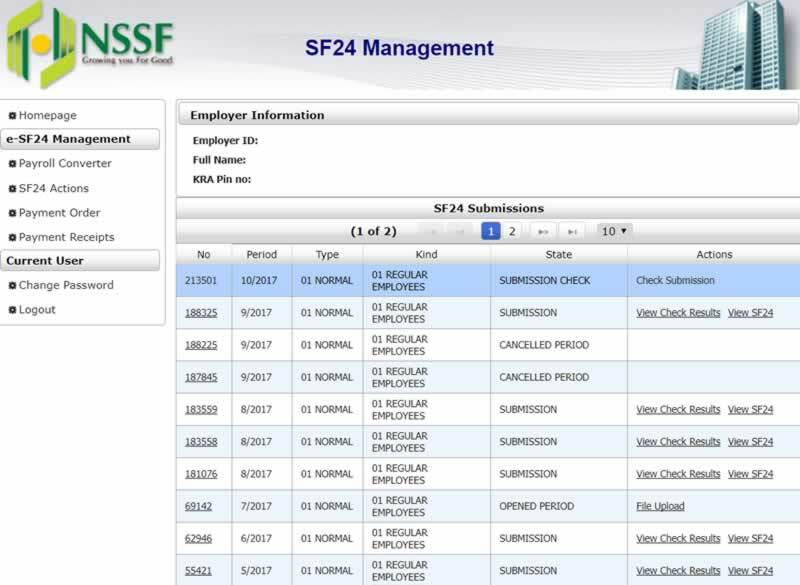 Next, drag any unpaid SF24s from ‘Unpaid’ section to ‘Selected SF24s for Payment’ section. 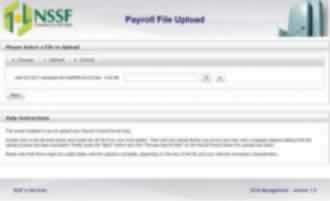 A final total of amounts due will display at the bottom of the forms. 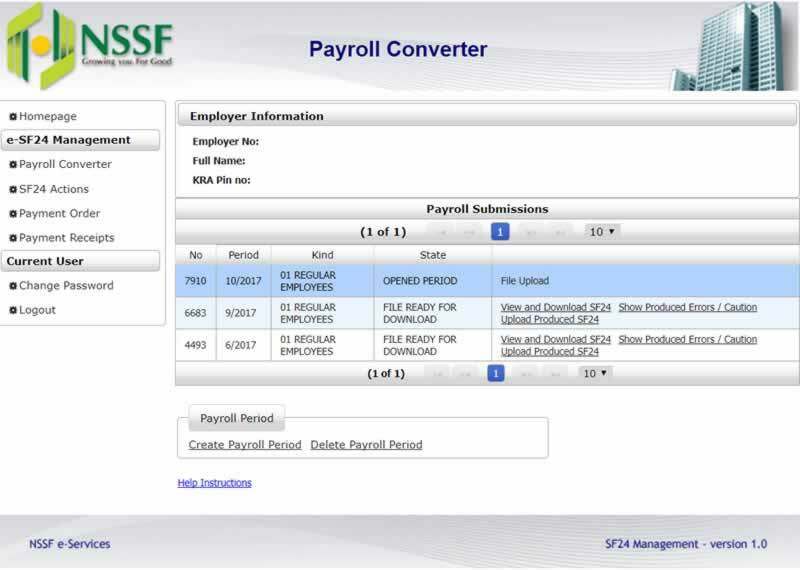 Click the ‘Save’ icon located on the horizontal bar, at the top of the forms. 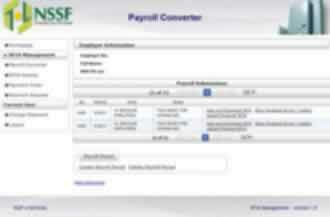 NSSF server will produce a Unique Payment Number (UPN) which will be used as your payment reference. 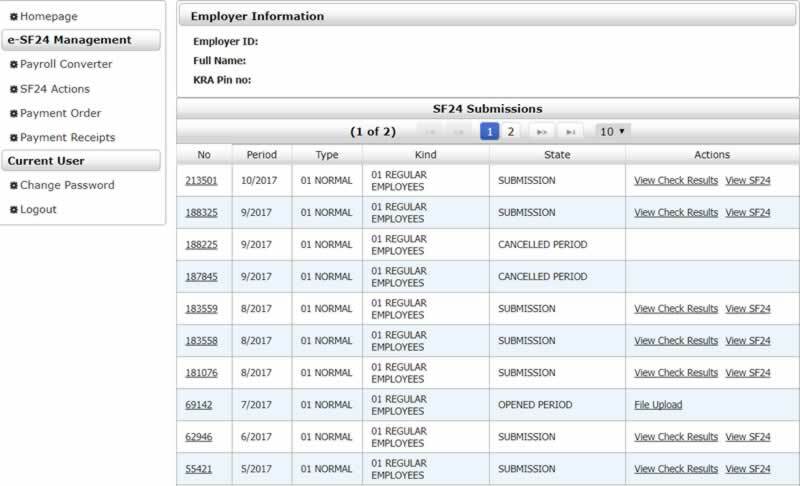 Search for the payment order you just made using the date range calendars. 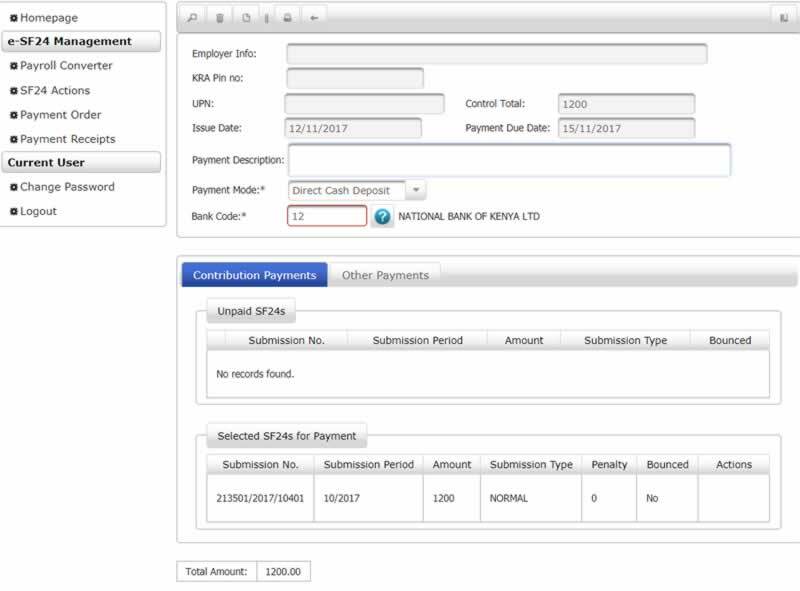 Once you locate the payment order, select it and proceed to click the ‘Print’ icon located on the horizontal bar, at the top of the forms. 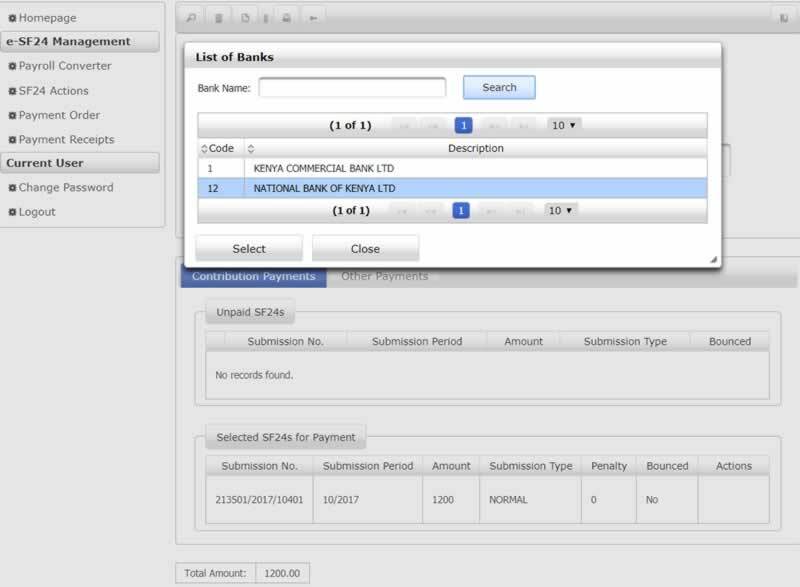 Print out the resulting output for onward payment with respect to the ‘Payment Mode’ you selected in step 7. 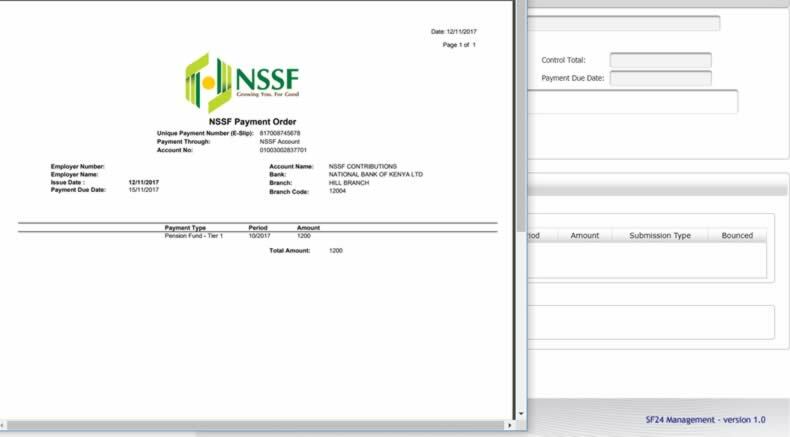 Once NSSF has received your payments, you can confirm this in the ‘Payment Receipts’ link on the left-hand menu.